1. The stuff that was toxic. 2. The stuff that was silly. 3. The stuff that made sense. 4. The stuff that didn't make sense but felt good. As a former Roman Catholic, I was taught a lot of stuff that was toxic then and is toxic still. Pope Francis seems to be on the right track trying to fix some of this stuff, but I am sure he will not get it all done. The biggest things that are toxic is the church's stance on the sexual aspect of the human body especially reproductive health, and the church's patriarchial and misogynistic beliefs and practices. Second there is a lot of stuff that is just silly like the virgin birth and Mary's bodily assumption into heaven. Third, there is a lot that makes sense the foremost being that God is love and that the way to the kingdom is, as Jesus taught, "to love as I have loved." Fourth, I do like the sacraments and liturgy. I miss that in Unitarian Universalism. Some of the ceremonies and rituals are very moving, comforting, and uplifting. The Catholics know how to worship when they do it right. I miss communion at every service. I think our UU congregations have to be far more than toxic waste dumps for people recovering from religious abuse; they need to be a place to facilitate the process of recovery and spiritual growth. Our congregations need to be strength based and not focused on deficits and problems. 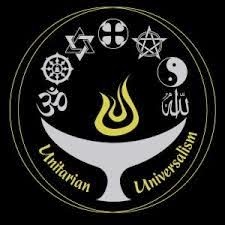 I call myself a Roman Catholic Unitarian Universalist and not a Unitarian Universalist Roman Catholic. The first works well because the UUs gladly welcome me, while the RCs would consider me a heretic and excommunicate me. I, as damaged goods, have found a loving and welcoming home as have many others. Praise be to God! I think you RCUU experience is wonderful! I am a Catholic with many concerns and disagreements, but the heart and ritual of it re very important to me. I am thinking of attending a UU church in my town so that I can find fellowship with like-minded seekers. I feel tremendous guilt that I am not a "good Catholic" s I once was... But I don't think I could be a good person or a good Christian if I lied to myself and pretended I agreed. Hard to know what to do I prepare to start a family, how to balance this with young minds. I may alternate Sunday UU services with Mass and see how that works. Love your blog, it has helped me feel less alone during my faith crisis. There are many former Roman Catholics who have moved to Unitarian Universalism. They seem to resonate best with the Universalist side of the UU. They also tend to be RCs who identified with the more progressive social justice teachings of the church and the mystical saints. There are many RCUUs who would understand you "faith crisis". It took me about 4 years to work it through and I love both traditions. There is no need to be either/or, we can be both/and.